Zaratan - Arte Contemporânea is pleased to announce its open call for artistic residencies to take place between March 2017 and September 2017 in Lisbon. Zaratan Artist In Residence programme provides a private workspace, a creative and thrilling artistic community, exhibition opportunities and professional development for international artists in Lisbon (Portugal). 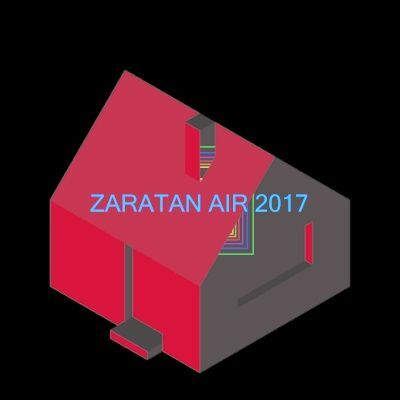 Zaratan invites a variety of artists looking for diversity, across all mediums and disciplines, ranging from the emerging to the established. We promote a structure to focus, engage and work. The artists-in-residence at Zaratan are given the opportunity to develop a project over a fixed period of time, and to reflect and consolidate their artistic practice. Our goal is to give the artists the possibility to bring their work in an international context through exchange and collaboration within the local network. Zaratan is an independent, not-for-profit, artist-run-space organization with no external funding. To cover the residency expenses we propose a residency contribution. Zaratan can assist the artists with formal letters of invitation to enable the artist/collective in raising the funds in order to cover the residency as well as the artist's production costs, living and travel expenses. In parallel once a year, Zaratan offers a 4 weeks residency grant, which covers the studio and accommodation contributions for one artist/collective selected through the application process by our curatorial team. The way to apply for the residency is by spontaneous application, subject to approval. PLEASE BE ADVISED THAT WE ARE CURRENTLY RECEIVING APPLICATIONS FOR ZARATAN'S ANNUAL 4 WEEKS RESIDENCY GRANT, WHICH COVERS THE STUDIO AND ACCOMMODATION CONTRIBUTIONS FOR ONE ARTIST/COLLECTIVE SELECTED THROUGH THE APPLICATION PROCESS BY OUR CURATORIAL TEAM. THE DEADLINE FOR APPLICATIONS IS MIDNIGHT ON MARCH 31 2017. - the number of weeks required for the residence and the intended start date.